The ticket was sold in Phillipsburg, New Jersey. The winner of the $273 million Mega Millions jackpot in New Jersey very nearly lost the chance of a lifetime. 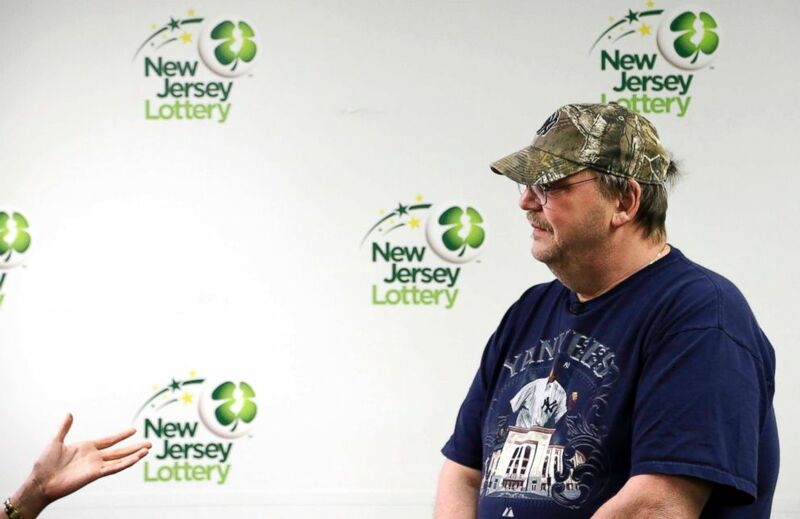 Mike Weirsky of Alpha, New Jersey, bought $10 in tickets one morning at the QuickChek in Phillipsburg and put the tickets down to put his money away, he said during a Thursday press conference. He started looking at his phone and walked away -- leaving the tickets behind. He realized his mistake and went back to the store the next night. To his extreme luck, a stranger had seen him leave the tickets behind and the store kept them in a drawer for him to pick up if he returned. Weirsky got home and put the tickets in an end table so he wouldn't misplace them again, he said. Two nights later, after the drawing, he took the tickets out to check them and realized he was holding the winner. "'Get the hell out of here,'" he said his mom replied when he told her he'd won. And then he sat down and watched TV for half an hour, still not believing it had really happened. The stranger picking up his forgotten tickets was the start of a major change in luck for Weirsky. He said he had been living in a mobile home with his wife in a few states, but recently they got divorced. While they were married, she worked and he stayed home and did housework. "[Winning is] gonna change everything 'cause I was unemployed," Weirsky said at the press conference. For the past year or so, he said, he'd been applying for jobs but getting no responses. He played the lottery when he could, spending $20 per week, but stopped when money got short. He started playing again just two weeks before he got the winning ticket. 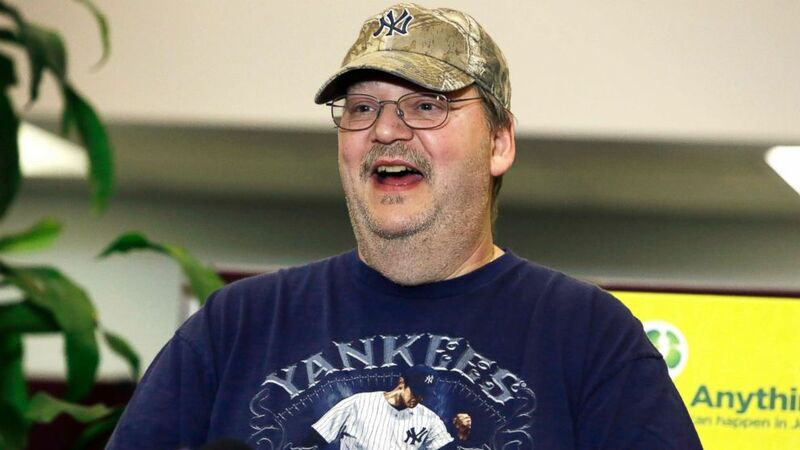 (Jacqueline Larma/AP) Mike Weirsky is interviewed following a news conference Thursday, March 7, 2019 in Trenton, N.J.
"I just didn't believe that it was me after all these years of playing," he said. Weirsky is taking the winnings in a lump sum, which comes out to a check for $162.5 million. "First thing I'm doing is buying my new pickup," Weirsky said. "It's something I've wanted a long time, and I'm gonna get it." From there, he'll let his lawyer tell him what to do, but he hopes to take his whole family on a vacation and "sit back and enjoy it." His mother would also like a new car. While some family and friends have been asking him about investing in businesses, he says he's not much of a businessman, but he's keeping his options open. (Jacqueline Larma/AP) Mike Weirsky speaks during a news conference on March 7, 2019, in Trenton, N,J. For now, he's just looking forward to seeing what it's like to wake up one day and decide to go on a trip or buy something expensive. "When the check comes in, then I'll believe it," he said, noting he's still in shock. As for the QuickCheck that sold the ticket to Weirsky, they'll be getting $30,000, according to a New Jersey lottery official. Weirsky, meanwhile, hopes to find the stranger who saved his ticket and thank her or him. And already, he found a way to give back to a stranger: Barely a week after he won the lottery, after over a year of applying for jobs, Weirsky got his first call for an interview. He won't be taking that interview, he said -- he'd rather leave the opportunity for somebody who needs it. "I was down. Now, all of a sudden, I'm way up," Weisky said. "I don't know how much higher I can get."